HomeBlogHome DecorBear Hug Rug by Permafrost. 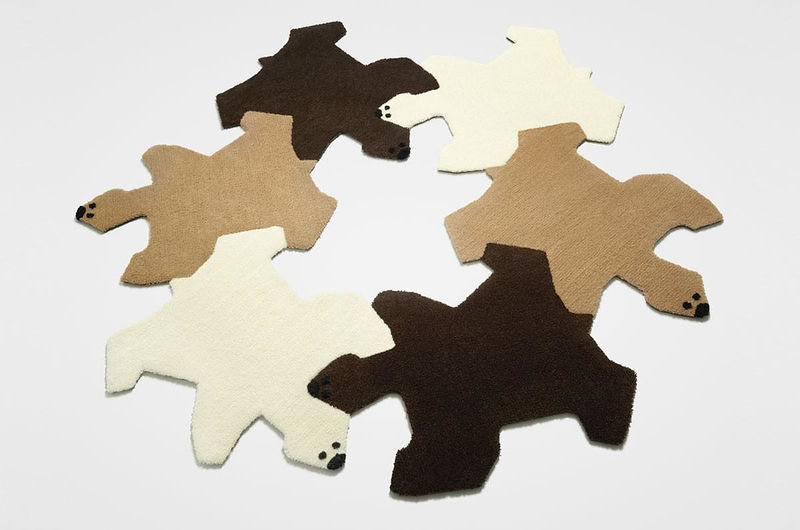 The Bear Hug rug is a humorous and inspired puzzle rug by Permafrost that features hugging bears! 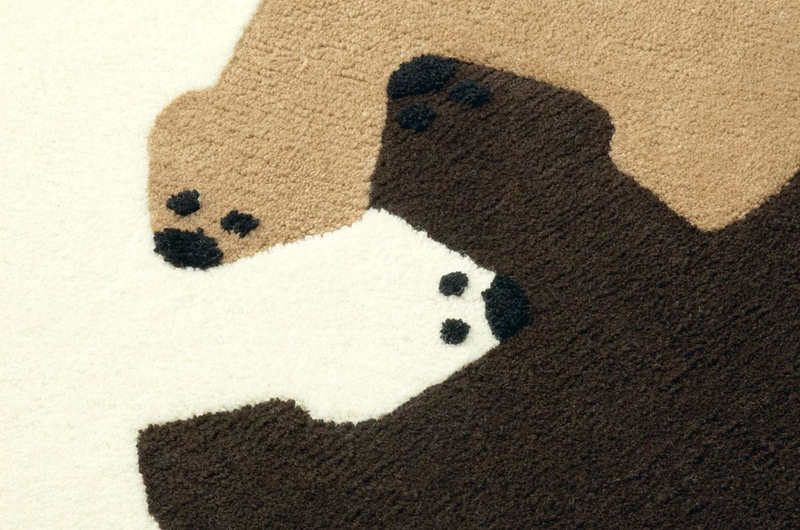 At first sight, the Bear Hug rug makes you smile. Its pattern definitely adds a humorous element in any type of room. Yet behind the seemingly simple design of the Bear Hug rug lies a rigorous design process that produced a very practical carpet with unique adjustability. The carpet is a tessellation, meaning that the identical shapes of each bear fit together gaplessly. Additional pieces can be added in order to cover whole floor areas, no matter the size of the surface. 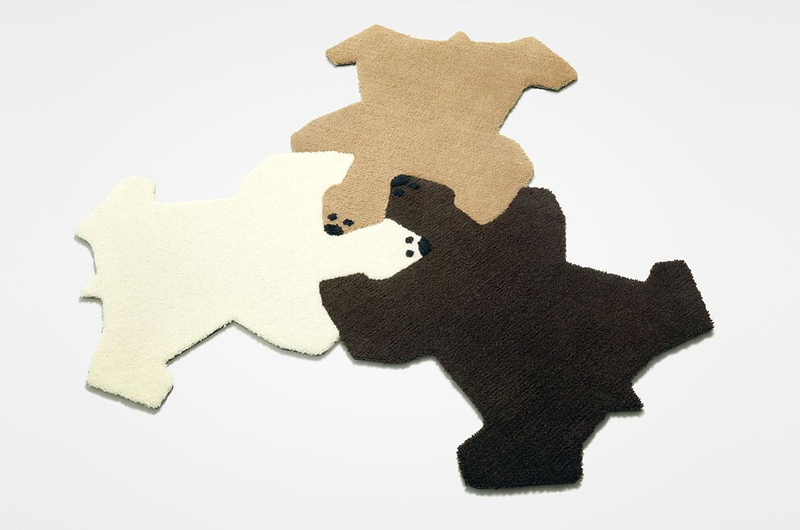 The Bear Hug is a puzzle rug with bear shaped pieces in three matching colors. We have already come across a puzzle rug and already appreciate the explicit characteristics of such design. Limitless color combinations that create variable patterns, compact packaging, and adjustability to any space no matter the dimensions are all key features of a smart design. Even the number of rugs is not something finite as one can break a larger one into small rugs and then put them back together.